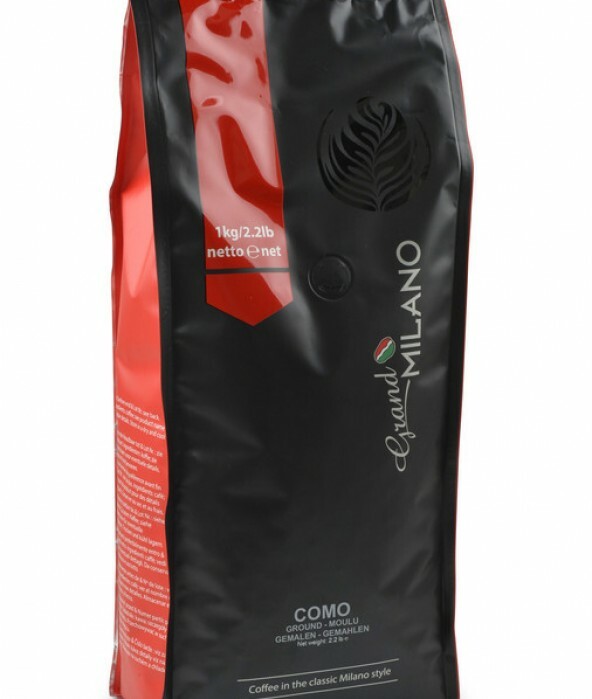 Grand Milano Como - Ground 1KGPacket: 1kgCarton: 9 x 1kg BeutelPallet (1x1,2m): 40 Karton..
Puro Fairtrade Organic Dark Roast - Ground 250 gFlavor profile:This amazingly delicate blend of Puro..
Puro Fairtrade Organic Origen Honduras - Bean 1.000 gFlavor profile:This amazingly delicate blend of.. 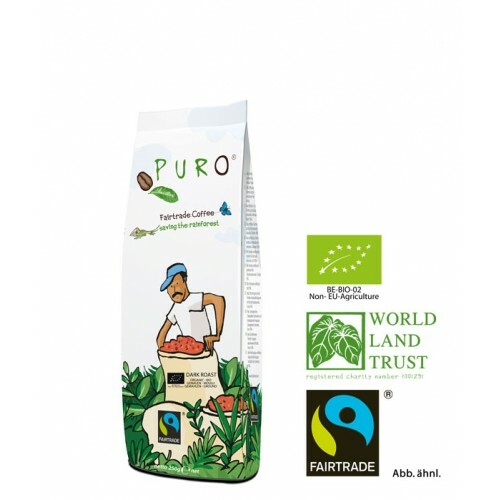 This amazingly delicate blend of Puro Fairtrade Organic Dark Roast - Ground 1.000 g is unmistakable in taste. 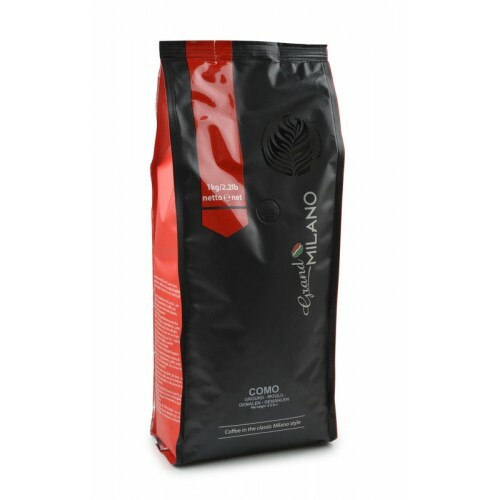 With its low acidity, this coffee is also optimally tolerated by the sensitive stomach. Peru: CEPROAP are located in the Pichanaki region, where coffee beans grow at an altitude of approximately 1650m above sea level among smallholders, who harvest, wash, sort and sun the beans by hand from June to October dry. 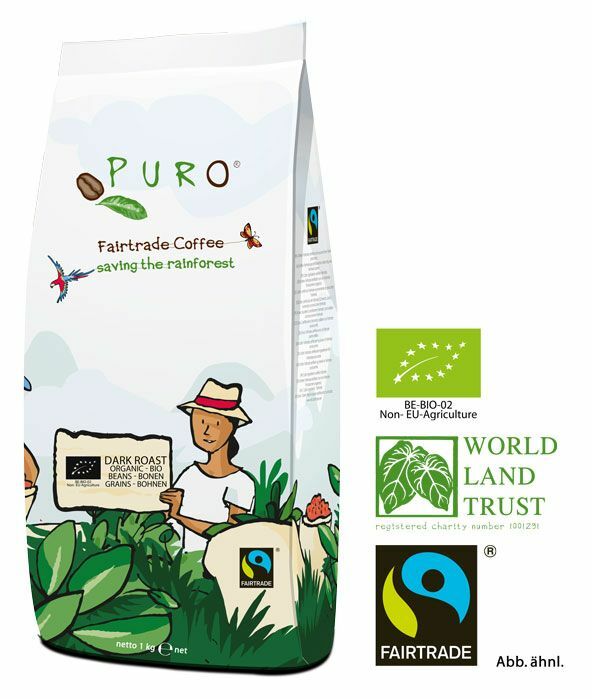 Honduras: COAGRICSAL & COPROCAEL are located in the region of Copán & Ocotopeque, the coffee beans grow at about 1000 to 1500m above sea level. 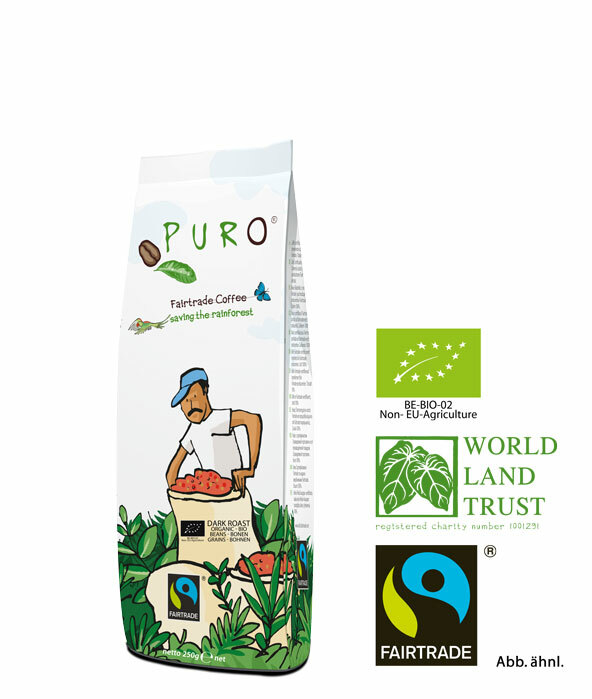 These are picked by small farmers by hand, washed, sorted and then dried by sun rays. 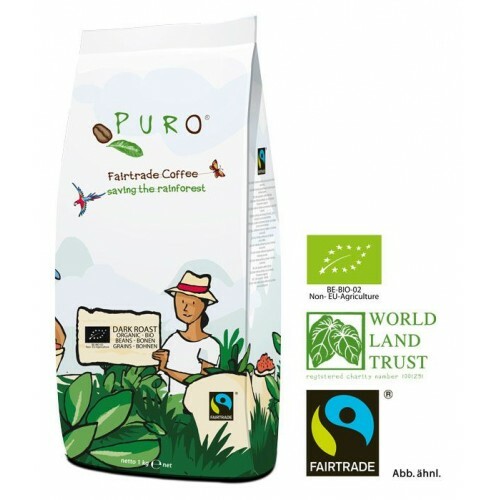 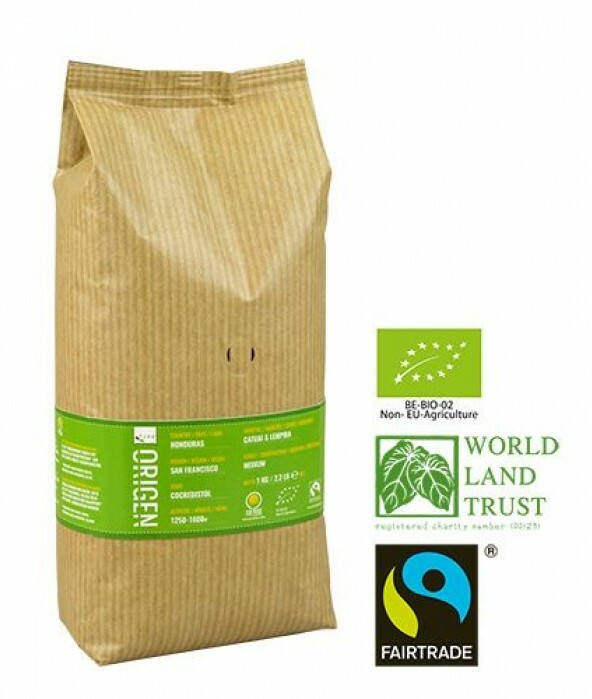 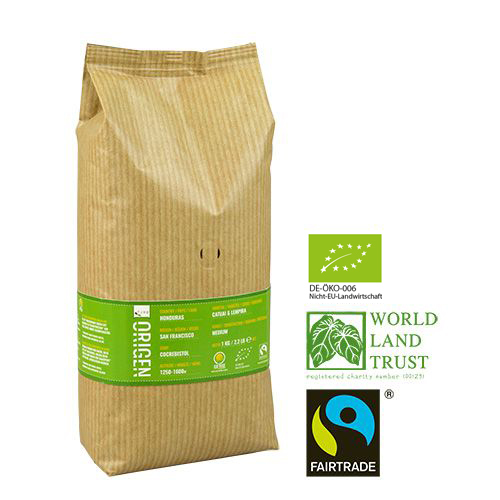 P.S: Through climatic changes, crops, the environment, politics and other factors, we also buy from time to time at other Fairtrade certified cooperations in these countries.